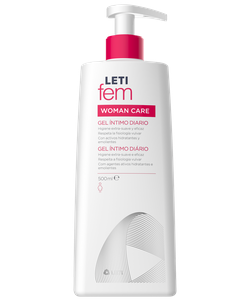 Specially formulated for the intimate femenine hygiene to prevent discomfort. Prevents irritation: provides gentle, effective hygiene. Provides comfort and a well-being sensation: with moisturizing and emollient actives. Odour-block effect: reduces the odor for minor bladder leakage. Physiological pH: respects the vulvar flora. Wet the area to be cleansed with water and apply the gel.